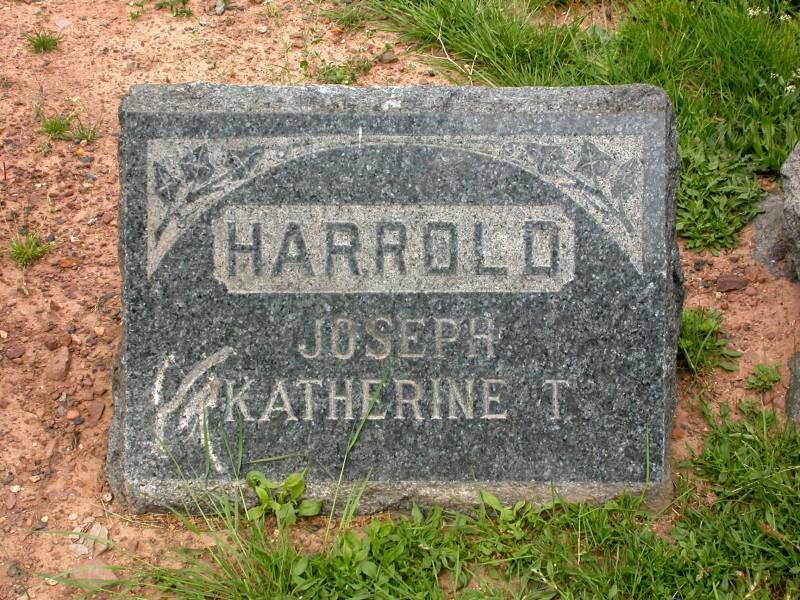 Joseph Harrold, born June 1850. Married Katherine Teresa Murphy on October 1, 1890 at Saint Patrick's Cathedral in Newark. They were living at 19 Summit Street in Newark when he died August 29, 1908, age 54. Katherine Teresa Murphy Harrold, born October 14, 1852 in Newark, New Jersey. She was 83 years old and living at 77 Murray Street in Newark when she died on February 21, 1936.